The aim of this project is to obtain Hα spectroscopy of an Hα selected sample at redshift z=0.8. 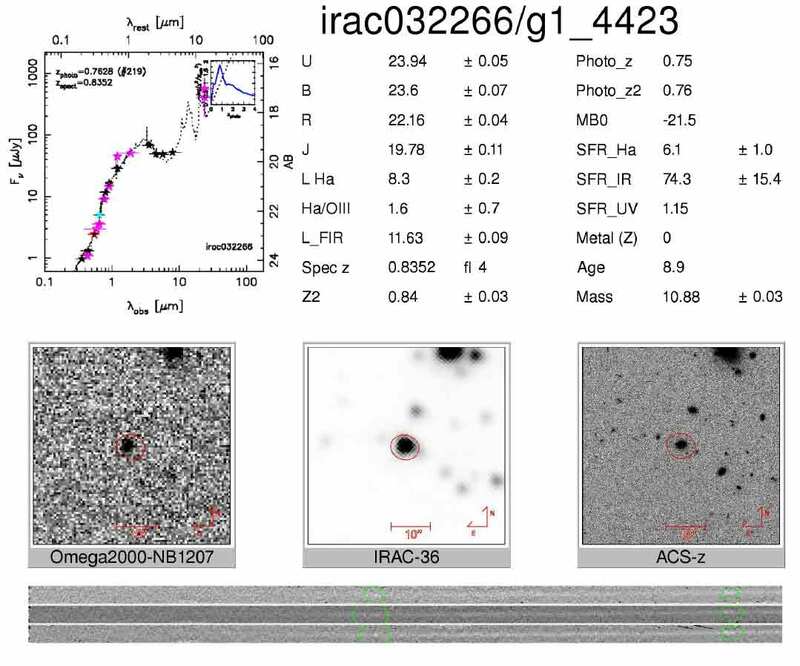 We first selected the sample using narrow band filter in the near infrared. This sample is highly suitable for this kind of work as it assures high Halpha fluxes. Detailed studies of extinction, star formation rates and metallicities will be carried out with the data obtained. Just now the reduction have been finished and we have finish the first analisys of the data. The observations were made by Víctor Villar, Jesús Gallego and José Antonio Acosta. This project is the Master Thesis work of A. Sánchez de Miguel, a Ph.D. student (PDF Massive file).